NOTE: The process of enabling the Tamarac integration is somewhat technical. If you have any difficulties doing so, please contact your Customer Success Manager to help get you up and running. 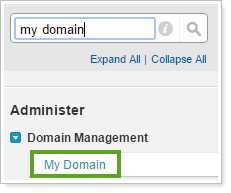 In the Quick Find/Search bar, search for and click on My Domain. Under Choose Your Domain Name, enter your desired domain name and click Check Availability. When you have a domain name, click Register the Domain. Once registration is complete, you will receive an email that says your domain is ready for testing. Copy the complete URL of your domain; you'll provide this to Tamarac in the next step. From Salesforce Setup, in the Quick Find/Search bar, search for and click on Certificate and Key Management. Click the Create Self-Signed Certificate button in the Certificates section. Give the certificate a name, then click out of the text box; the Unique Name field should automatically populate. Then click Save to be taken back to the Certificate page where you'll see the one you just created. Click the Certificate Name to be taken to a page where you can download a copy. Change the file extension of the downloaded certificate from .crt to .txt. In your web browser, enter the URL received from the Tamarac Account Management team. 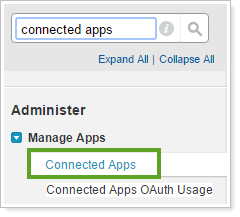 Log in to the AppExchange using your Practifi login. Click Agree, then Confirm & Install. Log in to Practifi. You must use an administrator login. 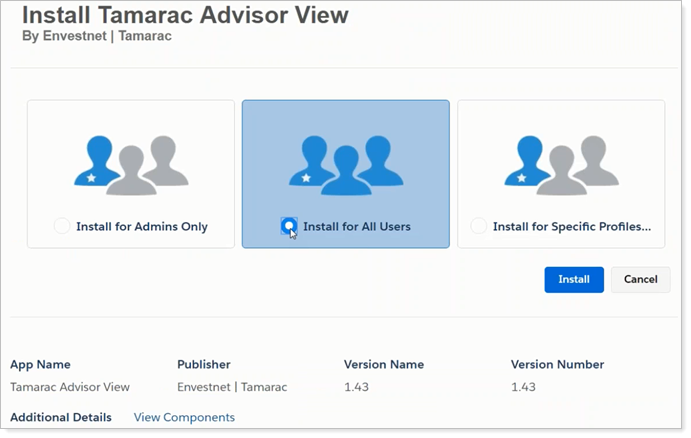 Under Install Tamarac Advisor View, select Install for All Users and click Install. In the Approve Third-Party Access window, select Yes, grant access to these third-party websites and click Continue. The app will install. When the app has installed, on the Installation Complete! page, click Done. 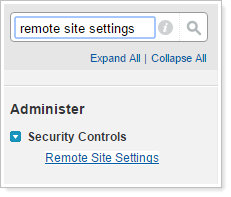 In the Quick Find/Search bar in Salesforce Setup, search for and click on Remote Site Settings. Under All Remote Sites, under Action, click Edit. Remote Site Name Leave as the default value. In the Quick Find/Search bar in Salesforce Setup, search for and click on Identity Provider. Select the self-signed certificate you created earlier, then click Save. 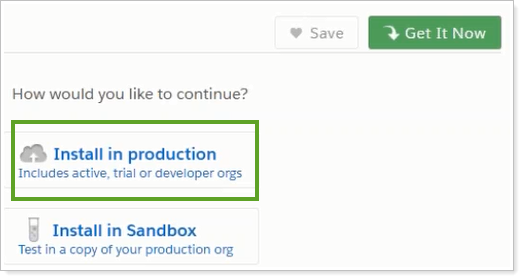 In the Quick Find/Search bar in Salesforce Setup, search for and click on Connected Apps. Click the Edit link for the Tamarac connected app. Name ID Format Leave as the default value. 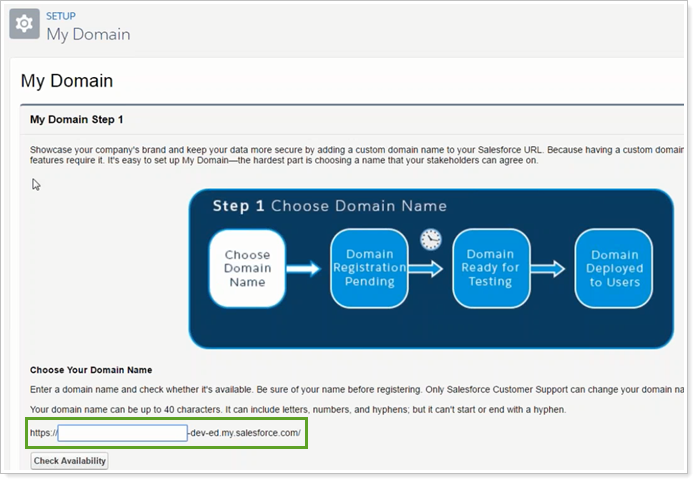 Issuer Enter your Salesforce domain URL you created previously. Select the self-signed certificate you created previously. Click Save and you'll return to the Connected Apps page. Click on the Tamarac app's name to be taken to the Manage Connected Apps page. Look for SAML Login Information and copy the IdP-Initiated Login URL. You will need this to set up the custom metadata later. On the Manage Connected Apps page, look for Profiles. Select all Practifi user profiles, along with System Administrator, then click Save. 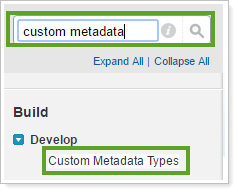 In the Quick Find/Search bar in Salesforce Setup, search for and click on Custom Metadata Types. Under All Custom Metadata Types, under Label, click Advisor View Setting. 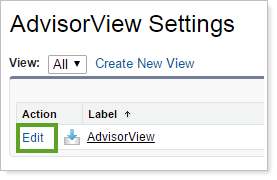 Under Custom Metadata Type Detail, click Manage Advisor View Settings. Under Advisor View Settings, click Edit. Enterprise ID This is your Tamarac Enterprise ID. Contact the Tamarac Service Team if you need assistance finding your Enterprise ID. Local IdP Initiated Login URL Copy and paste the IdP-initiated Login URL from the Connected App. Copy base URL from the Base URL left and add /api. Notify the Tamarac Service Team that your Practifi instance is ready for single-sign on integration. When they inform you that the Single Sign-On integration is complete, log into Practifi and navigate to Salesforce Setup. Select the Tamarac app from the App Selector in the top-right corner. To authenticate the Tamarac Reporting credentials for Salesforce, enter your Tamarac Reporting credentials in the first section (these credentials must be for a System Administrator). Click Save. To authenticate the Salesforce credentials for Tamarac Reporting, in the Salesforce OAuth Settings section, click Change Salesforce Login and enter your Salesforce credentials. (these credentials must be for a System Administrator, and must be for the same user as the Tamarac ones). Click Allow. 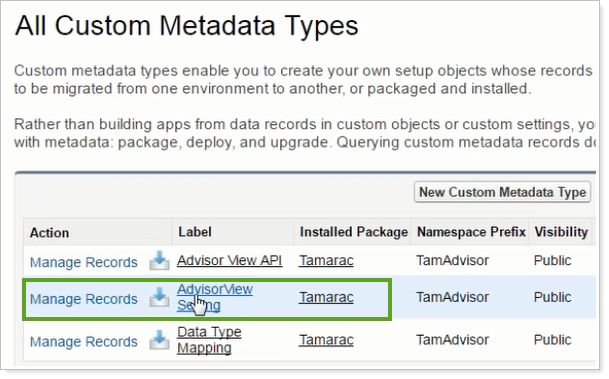 By default, the Tamarac package is configured to suit the Salesforce data model. In order to see Tamarac Assets in Practifi, we need to adjust the field mapping. 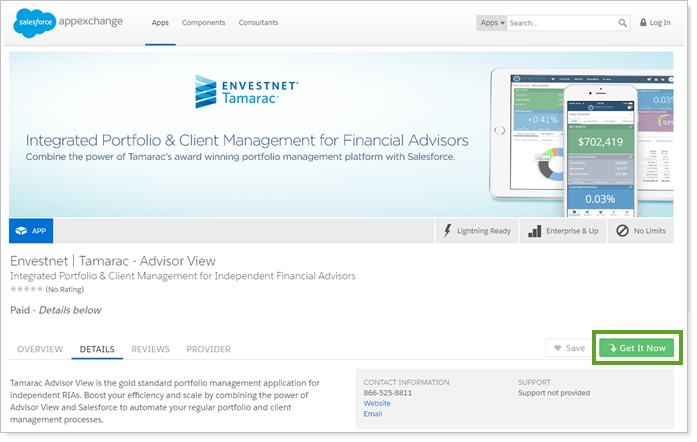 Select the Tamarac app from the app-selector in the top-right corner of Salesforce Setup. Go to the Manage Mappings tab, click Del next to Financial Account and confirm the deletion in the pop-up window. Click the New Mapping button in the top-right corner to go to the Configure Object Mapping page. Click Save and then Send Mappings to confirm the mapping. 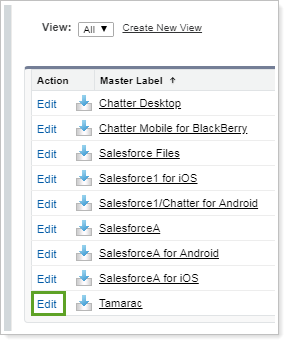 Expand the Tamarac section in the Integrations menu and click Enable Tamarac.